Smith Flooring is a family company now in its third generation of family ownership. With deep roots in the Missouri forest products industry, our history goes way back to the 1920s when Jack Smith bounced around southern Missouri working as a logger and tie hacker. 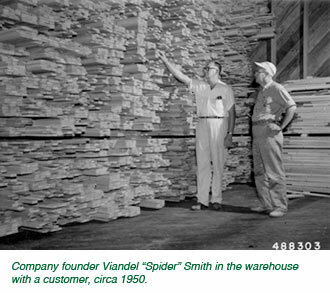 Jack's son, Viandel "Spider" Smith, inherited a strong work ethic and a deep connection with the Ozark forests and in 1947 he partnered with a man named Ralph Padgett in starting a flooring mill to take advantage of the home building boom that followed World War II. Mountain View. Spider's sons, Jon and Van, became involved in the business in the 1970s and eventually became the second generation of family ownership. The two brothers navigated the business through difficult times in the late 1970s when interest rates soared up to 18%, which put a serious crimp on home building and the economy as a whole. Still, the business managed to survive and even thrived as good times returned and housing starts took off again. Under the two brothers' leadership the company added a flooring distributorship in Springfield, Missouri, a small sawmill, a beef cattle operation and a forestry operation, managing a few parcels of family-owned timberland. Jon and Van continued to lead the company through a few decades of steady growth and prosperity up until Van passed away suddenly in 2005. Van's passing left a deep void in both the family and the company, but the time was right to add the third generation of Smiths to the ownership group. Van's sons, Kent and Steve, joined the management team, working alongside Jon running the manufacturing plant along with the company's other divisions. 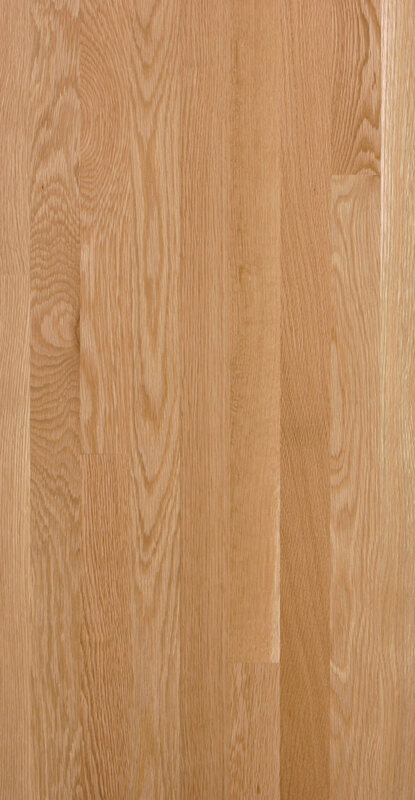 Kent took on a bigger role at the flooring mill while Steve became solely responsible for Classic Wood Floors (see side bar to link to website), the family flooring distributorship in Springfield. Jon's son, Stuart, manages the company's forest operations and environmental stewardship programs. Smith Flooring is the epitome of a family-owned enterprise, but the company's notion of what all is included in the term "family" goes well beyond just the blood relatives. Since the outset, Smith Flooring has considered all its employees, and even the community at large, part of their extended family. This helps explain how the company manages to retain employees and thereby maintain consistency in quality and customer service for extended periods. Take Kevin Conner, for instance. Kevin has been with the company for more than 25 years and is currently the General Manager and Sales manger. He is just the fourth individual to hold the Sales Manager position since the company was started back in 1946, Kevin took over the position from James "Mack" Pearson, who retired in 2005 after more than 42 years with the company (the last 18 as Sales Manager). Then there's Steve McAffee, the first shift end-matcher operator who has held the same job for 20 years after inheriting the position from his father who had it for 36 years before Steve. Indeed, when Smith Flooring talks about being a family operation, they really mean it. Today, Smith Flooring remains a pillar of the Mountain View community as it continues to lay the groundwork for yet another generation of caring, responsible business leaders. Ever wonder whatever happened to the kind of customer service and quality commitment that derives from good old fashioned family pride? For a reminder, just give us a call; we'll be happy to refresh your memory.